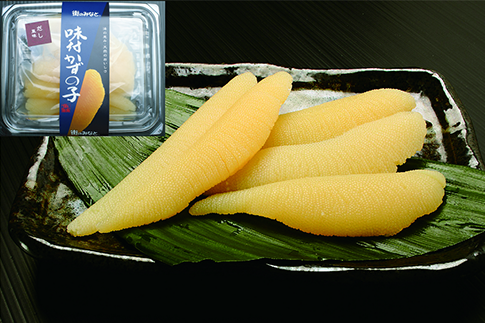 As the core of the Daiki Suisan Group, we at Daiki Sangyo Co., Ltd. work to develop supply routes, expand our wholesale operations and promote the creation of a seafood culture that will leave consumers satisfied. Our supply routes spread both across Japan and overseas which allows us to deliver products with a focus on freshness, quality and safety. 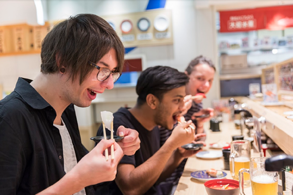 We also actively hold cutting shows of raw bluefin tuna and, through these events, cultivate interest in fresh fish while promoting seafood culture. Hereafter, we will continue expanding our wholesale operations and grow our business by further committing ourselves to the domestic tourism market, expansion of branches overseas and export of marine products in connection with our shows and events. 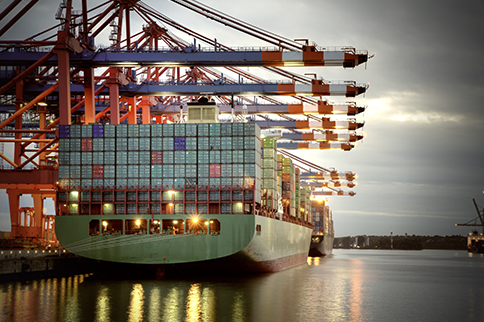 This division handles the export of marine products. Our current portfolio features a list of Asian countries such as Singapore, China and Myanmar. 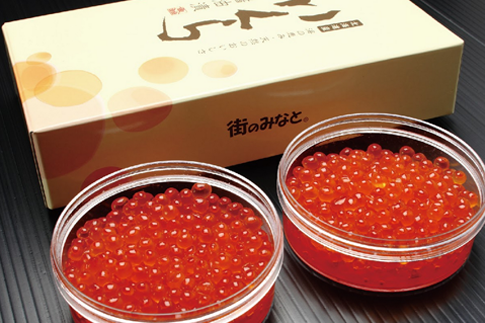 In the future, we will actively continue to pursue the expansion of our marine product exports and inbound restaurant services as well as open overseas Daiki Suisan Group branches. 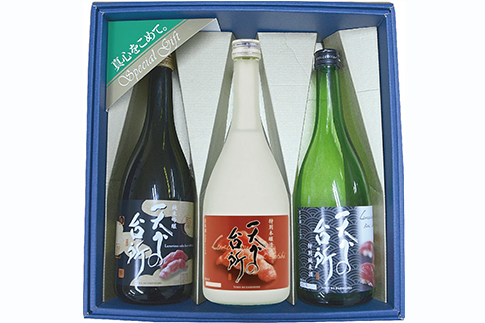 This division handles the wholesale and retail of both fresh and processed marine products as well as the sale of the Daiki Suisan Group's original Japanese sake. Our current clients include department stores and major supermarkets in the Kansai region among others, and thanks to our products' record of reliability, safety and stability, this client base is ever increasing. In order to further expand our business, we plan on continuing this expansion into the future. 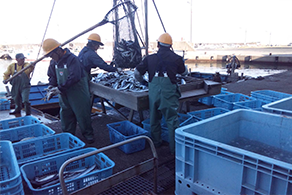 We handle the supply of tuna and other fresh seafood. 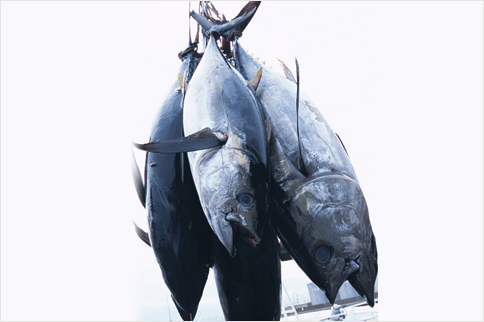 Tuna is a trademark of the Daiki Suisan Group. With a dedication to quality not found in other companies, we enjoy the support of a great many consumers and businesses. 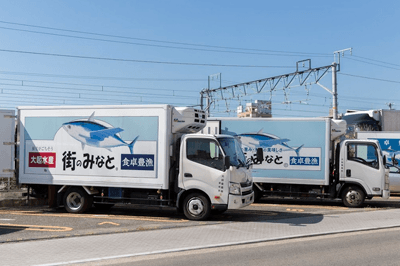 Centered on the fisheries of western Japan, we maintain a system of direct shipment from fishing ports - a standard we have kept since our founding - and with the intention of getting seafood to the customer's table as fast as possible, pursue daily innovations in distribution. 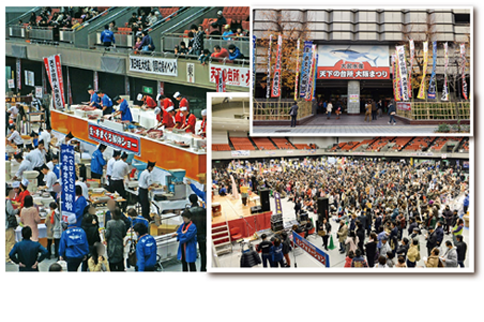 We work diligently to help spread seafood culture and perform cutting shows for raw bluefin tuna both within Japan and overseas. 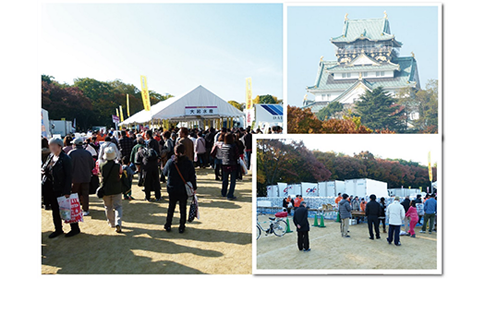 We hold various events and parties at a variety of locations such as embassies, shrines and temples. We have also reached a wide range of consumers by selling original products over the radio in coordination with radio shopping programs as part of our mail order business. This division carries out a wide range of operations from delivery and inventory management to new proposals for marine products. In order to meet the ever-changing needs of consumers, we will continue to engage in operations even more actively than before. This division provides operational support by employing an integrated distribution system for the marine products that are our strength. In order to achieve a win-win relationship with our clients, we do not simply deliver products but also offer methods for sale and on-the-ground support in order to help our partners expand their businesses.